Kevin Howard sells interest in Mars Services entities to The Garden Group. The Garden Group announced today that it has purchased additional interests in its affiliates, Mars Carpet Cleaning, LLC, Mars Resurfacing, LLC and Mars Housekeeping, LLC, from its former partner, Kevin Howard. After over five years at Mars, Kevin Howard has decided to sell his ownership in order to pursue new entrepreneurial endeavors in different industries. About Mars Services: Mars Services is a market-leading service provider to customers in the multifamily, residential and commercial markets in the Dallas-Fort Worth Metroplex. Mars Services aims to be its customers’ first call for carpet cleaning, countertop resurfacing, housekeeping, painting, carpet repair, 24-hour water restoration, tile and grout cleaning, odor control, upholstery cleaning, dryer vent and AC duct cleaning, trauma scene clean-up, tub resurfacing and pest control services. Mars is a member of The Garden Group network of companies. 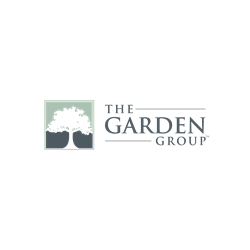 About The Garden Group: The Garden Group is a family-owned diversified holding company in Dallas, TX that aims to give aspiring entrepreneurs a competitive edge through access to capital, advice, administrative services and other operational support.